Today we only spent a few hours in Toronto. 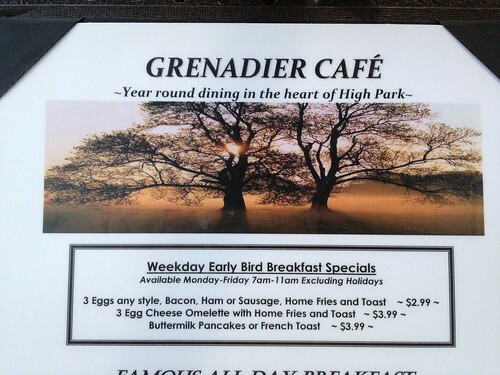 Really, the only thing we did there was get the whole crew together and have breakfast at the Grenadier Café in High Park. These prices are insanely low!